Morestead Church is the oldest Church in the Benefice and has been described as ‘the rock upon which the current Benefice is based’. Morestead was one of the eight sub manors of Chilcomb mentioned in the Domesday Book. At Domesday, Chilcomb had nine churches and Morestead Church was probably one of them. 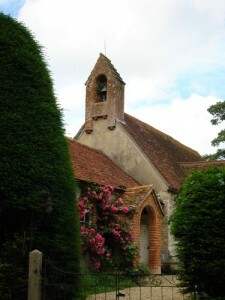 This ancient church is high on the bank at Morestead surrounded by yew trees and a flint wall. The original registers date back to 1549 and are now kept at the Hampshire Record Office. The bell turret holds the single bell dating back to 1620. 2 bay building attached to W end. Nave C12 but chancel rebuilt C19. Chancel has large rounded headed E window, small rounded headed side windows. Nave has similar but larger windows, buttresses, at E, and C19 gabled porch with round headed archway with chevrons and nook shafts. The N and S doorways C12 plain roundheaded, restored. Plain brick with stone roof bell turret. Cottage has S front of central door in gabled brick porch with round arch and each side round headed window. Inside chancel E window has chevrons and label, C19 roof.